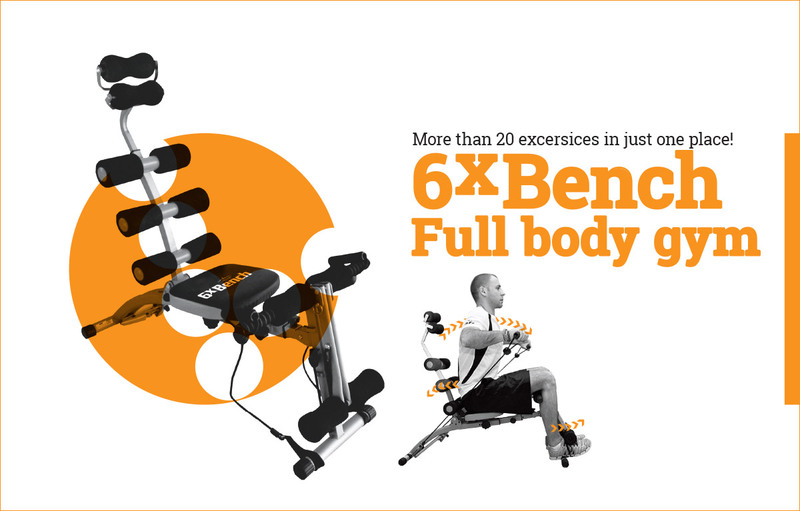 The 6x Bench exercise bench features two chest expanders so you can strengthen your arms, upper muscles and back. You can also do exercises to work out your oblique muscles thanks to its 360 rotating seat. It is very useful to shape your abdominals. With abdominal exercises you can strengthen your cire or just reduce your waist by some centimetres.